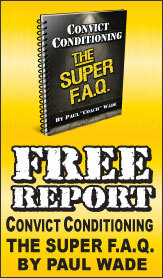 A common request after the HKC is, "Can you give me more workout ideas?" I think that there is a minimum effective dose for each movement of the HKC Three (swing, goblet squat and Turkish get-up). If we add push-ups (15-25 a day), we might have a routine that will provide fitness, longevity, health and performance. Yet, the devil is in the details. How much equipment do you have? Surprisingly often, many people just have ONE kettlebell. Or, in a large group, each client will only have one appropriate kettlebell. 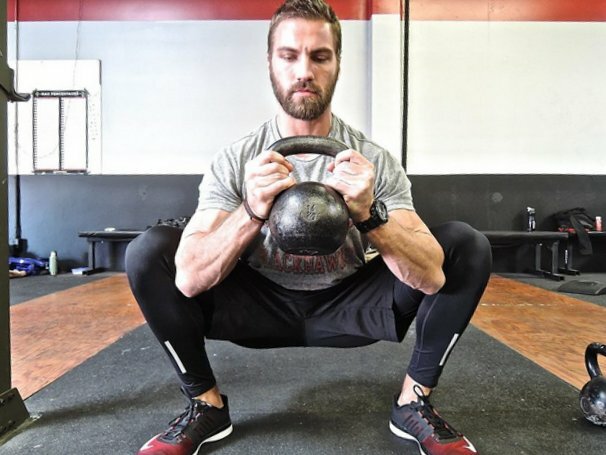 This article explores the many options available with One Kettlebell Workouts. Most people want "workouts." Though "training sessions" is probably a better term. We need to spread out our fingers a bit and look at programming. I always ask the client or athlete to look ahead twenty years. The checks you write with your body with "Hold my beer and watch this" activities will be hard to pay twenty years from now. "Just because you can, doesn’t mean you should," the best lesson of Jurassic Park, is also wise programming advice. Most people can follow a diet or program for about two weeks. I’m actually exaggerating—with diets, it is barely two hours! But, can we still look ahead two weeks and identify the issues and problems which will lead to missed workouts or bad food and beverage choices. How can we proactively deal with this? Tomorrow is my favorite. I always tell people, "Tomorrow is going to be the greatest workout of my life. I will destroy all records, leave myself in a sweaty mess, vomit often and have one near death experience." Today, I will do the fundamental human movements with appropriate reps, sets and load and strive for mastery of movement. Then, tomorrow comes around and once again I tell everyone, "Tomorrow is going to be the greatest workout of my life. I will destroy all records, leave myself in a sweaty mess, vomit often and have one near death experience." Intensity has many definitions—the Nautilus machine people gave us one, Soviet percentage tables gave us another, and yet another one came from red-faced people screaming. The upside of single kettlebell work is that you can put these different definitions aside, you only have to choose one kettlebell! Volume is the total load. In Olympic lifting, volume is simply calculated by reps times sets times load. A nice thing about single kettlebell work is that you only need to count the total reps, because the load never changes. Spending time to examine volume is often the first clue in determining Minimum Effective Dose, and working with the "less is more" philosophy many excellent coaches and trainers live by. Density is the amount of work done over time. If the same amount of work is done in half the time, then density has increased. I like specific workouts because—as we will see with the "Humane Burpee"—we can see progress simply by timing the efforts. With the same load and same exercises, completing the workout in less time means progress. When discussing progression with single kettlebell workouts, density is truly the most important of the three terms. Let’s first look at swing-focused workouts. 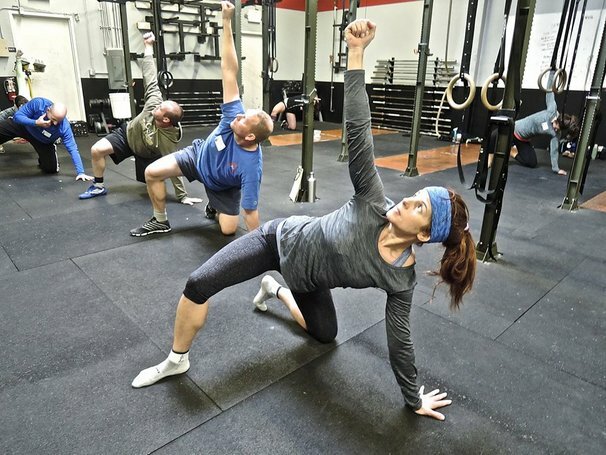 One quick hint: don’t let the press dictate kettlebell selection, especially with women. Recently, my group all traveled the Rite of Passage. On one heavy workout, one of our females just picked up a 28kg kettlebell and did five minutes of swings. She thought she’d chosen a 20kg kettlebell, and didn’t notice it was actually a full eight kilos heavier. Afterwards, she realized that she had been underestimating her load for swings. She had built up to the 16kg kettlebell in the ROP, but could easily use more for swings and goblet squats. The workouts in this article are only for two-hand swings, but feel free to adapt them as appropriate. Moreover, as one person told me not long ago, "Just do 30 seconds of swings, 30 seconds of ‘fast-and-loose’ and try to add minutes when you can." A few years ago, I was asked to write about the 10,000 Swing Challenge. Basically, for twenty days, add 500 swings per workout. If you swing four times a week, it will take five weeks to do 10,000 swings. Since we usually had sessions five times a week, it only took us four weeks. "Yay" for us! 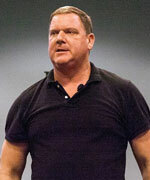 Next, consider the "Cook Drill" from Gray Cook, P.T., founder of the Functional Movement System. Standing, hold a kettlebell in the rack. 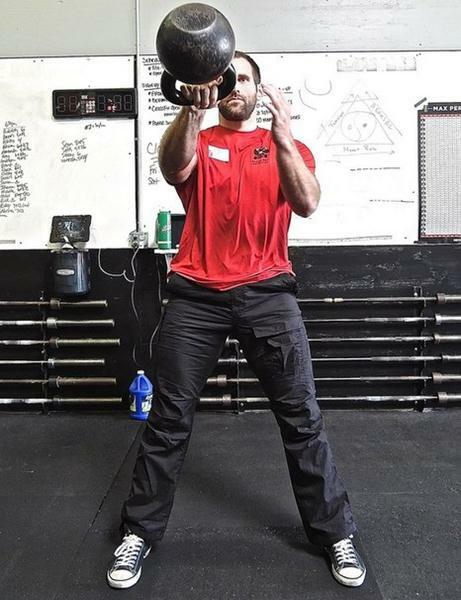 Now press the kettlebell straight overhead and walk (waiter walk). Your arm should be completely straight, and your shoulder "packed" (pull it down and away from your ear). If you feel your arm start to wobble or your core starts to shift, then you’ve lost integrity. When that happens, bring the weight back to the rack position. Hold the kettlebell in the rack position and continue to walk until you feel yourself losing integrity again. At that point, release the weight to your side so you’re holding it like a suitcase. Once you can’t hold the kettlebell in that position, switch hands and start from the beginning. Gray recommends practicing this for up to 15 minutes, but going for a total distance of about 400 meters is plenty. What am I saying? We did that ONCE! Even though we usually don’t practice this drill for very long or very often, this is a great drill all by itself. Sure, do it again or even three times, if you wish! Sometimes, like the 10,000 Swing Challenge, you might want to choose a month and complete a challenge. Come back and do it again tomorrow!